A candy disinfectant and deodoriser concentrate based on a synergistic blend of active biocides for guaranteed results as an air reconditioner. 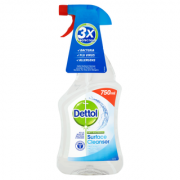 An opaque blue liquid that incorporates specially selected candy fragrances, Deodoriser Concentrate kills odour producing bacteria and fungi, neutralising unpleasant odours. 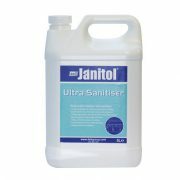 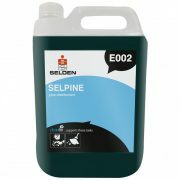 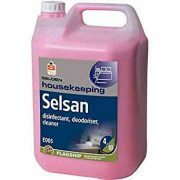 Recommended for use in washroom areas; floors, toilets, urinals, drains and cisterns, Deodoriser Concentrate is also highly effective on waste and rubbish bins, rubbish carts, waste disposal chutes, carpets and entrance matting. 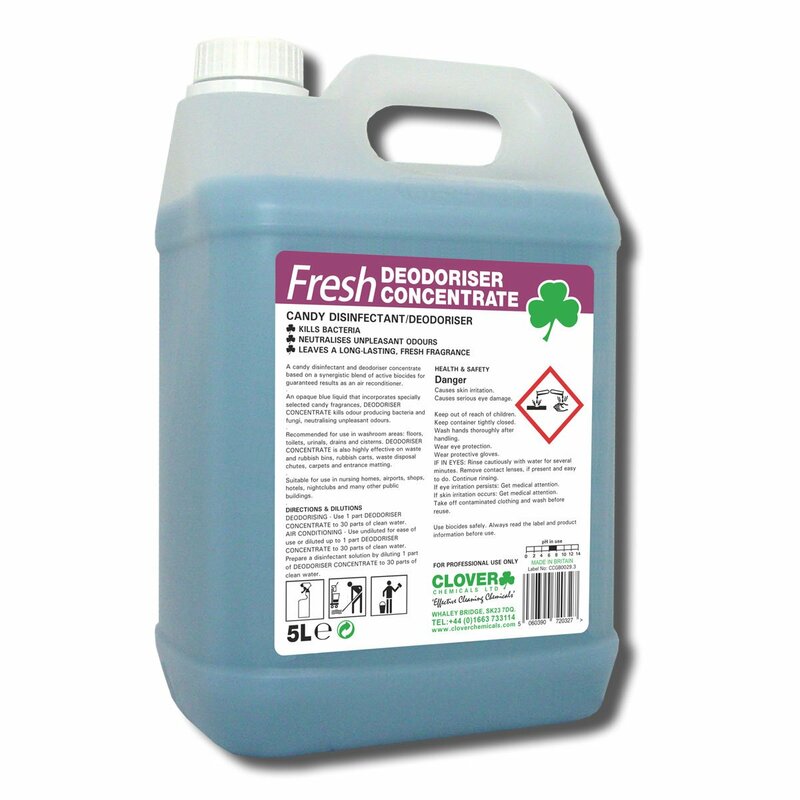 Use to freshen air in hotels, night clubs, public houses, conference centres, public rooms and buildings, nursing and retirement homes, airports, departments stores, shops, ships, boats and ferries.